Kraft's By Kevin™ strives to make all of their products safe for the environment. Nest-EZ™ Nesting Balls are no exception. You can feel good about promoting bird habitats and protecting the environment! Nest-EZ™ Nesting Balls are fantastic for: Holiday Gifts, Teacher Gifts, Caregiver Gifts, Wedding Favors, Corporate Gifts, Yankee Swaps, Fundraisers, Bridal Shower Gifts, Garden Parties, Housewarmings,Hostess Gifts, Birthdays, and Thank You Gifts. 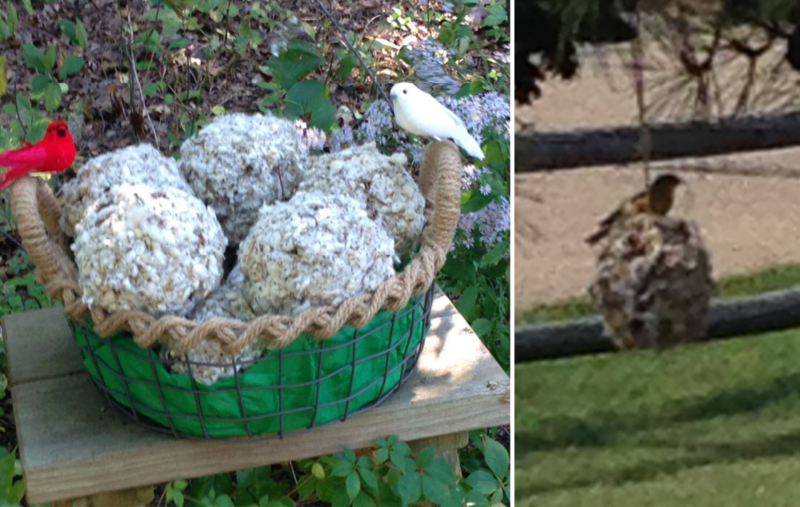 I wanted to share with you how happy our birds are with the nesting material ball. We have a pair of canaries in our kitchen. I put the ball in their cage and they immediately started filling their nest with soft stuff. This morning we found a wee egg in the nest. I guess you could say that you have two very satisfied customers!!! Yesterday we were at a shop and we came across the wonderful Nesting Ball you put together. We get lots of nests in the winter and we are very excited to contribute to our environment and nature. It is really the coolest thing I’ve seen. I will keep my eye open for other products by Krafts By Kevin. Kate P. has put up a nesting ball which has been quite a hit… It is made by Krafts By Kevin and packaged by a young man with autism. 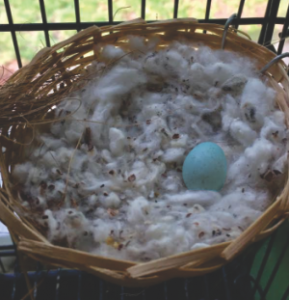 I think the nesting ball is a wonderful product. What a great idea! My grandchildren check the nesting ball hanging in my yard every time they come to visit. They like to see how much nesting material has been taken by the birds. I love the organic design of the nesting ball. I have it in a secluded area of my yard, right outside my window, and love watching the bird activity around it. I love my Krafts By Kevin nesting balls for many reasons however the most endearing reason is because I find the work of this young man with autism inspiring. The colors and textures of the natural materials are useful for birds to build their nests yet they also perfectly compliment my home decor. I can't think of a more satisfying purchase to be made! I received my order today and I am way beyond impressed with them. I will definitely be spreading the word about the great work Kevin (and all of you) do. I'm sure I'll be ordering more. We hang the nesting ball right outside our sliding glass doors. It attracts a lot of activity for bird watching. I really like how they look gift wrapped. Great presentation.